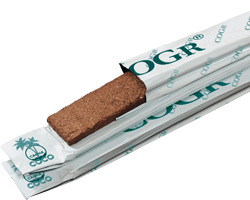 Besides the regular CANNA COCO products there is also CANNA COGr. This is a line of nutrients and a special coco substrate, called the CANNA COGr board. This coco substrate has the same qualities as CANNA's other coco substrates but has a coarser structure that is particularly suitable for the experienced coco user. There is a special line of nutrients for CANNA COGr, called CANNA COGr Vega and CANNA COGr Flores. The COGr board also requires a special buffering agent, called CANNA COGr Buffer Agent. CANNA COGr Vega is the nutrient that is specially intended to be used when growing in COGr Boards during the growing stage of the plant. This ensures healthy and strong plants that produce long, vigorous growth shoots. COGr Flores is a complete professional nutrient for plants during flowering. It encourages blossoming, juice production and large fruits. This nutrient is popular among demanding growers that like to be in full control! COGr Buffer Agent is a special buffering concentrate for soaking the CANNA COGr growing substrate with water. CANNA developed this agent especially for the preparation of the growing medium. 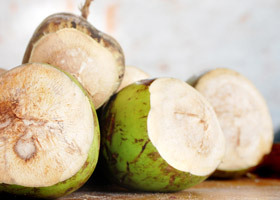 Thanks to the coarse coconut structure, COGr has the unique property of being able to absorb large amounts of nutrients, moisture and air simultaneously, which are made immediately available to the plant. This makes the medium superior to all other growing media, promoting faster root development and higher yields. Total control. A grower can buffer, administer the nutrients and even determine how long the plants grow or bloom. This way, yields can be greatly improved. This is your personal nutrient calculator. By entering data like your nutrient line and the volume of your reservoir it calculates a customized feed chart for you.